Sports Illustrated reported that Carmelo made comments that although he does has a desire to leave the Nuggets, he would never do it the way LeBron James left Cleveland last summer. "I would never go about it the way LeBron did it." "If he could do it all over again, he wouldn't do it that way -- he would do it a totally different way, I can guarantee you that," Anthony added. 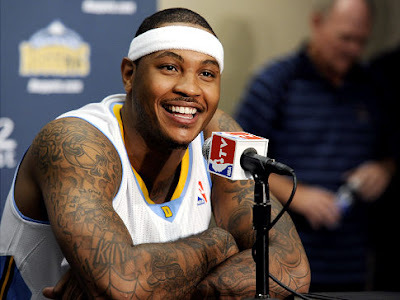 Carmelo Anthony isn't sure how things will end in Denver, but says he is seeking an amicable split from the Nuggets, while James announced his free agent decision on live television as part of a well-planned ESPN special.